Let you play old games with no controller support. 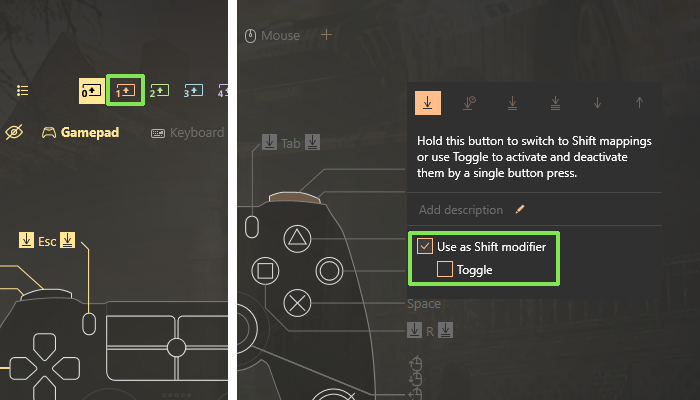 Help you change native controls you don't like. Have a smart interface. I know some joystick mappers with powerful features but awful and unfriendly design. Save created configurations. How to use joystick mapper that doesn’t save your configuration and stay calm? It makes you start all over once you need to remap controller for another game. Not cool. Reassign Elite paddles. Xbox Elite paddles are useless without a joystick mapper. Seems we need a universal joystick mapper to solve all above-mentioned problems. And here it is. 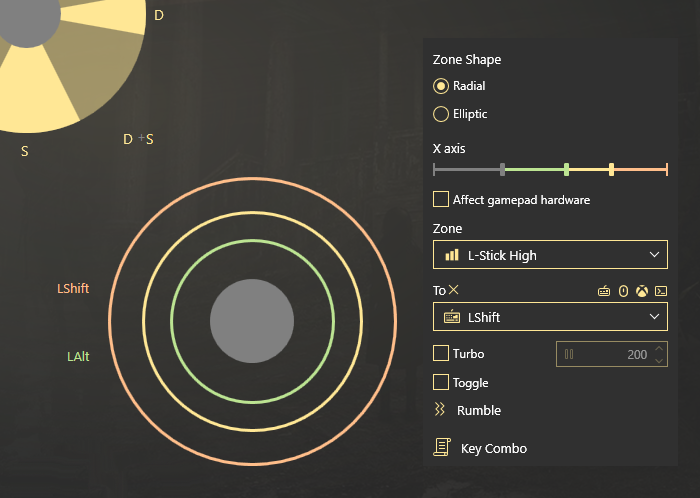 reWASD is a joystick mapper for Windows to work with Xbox 360, One, Elite, DualShock 3 and 4 controllers. 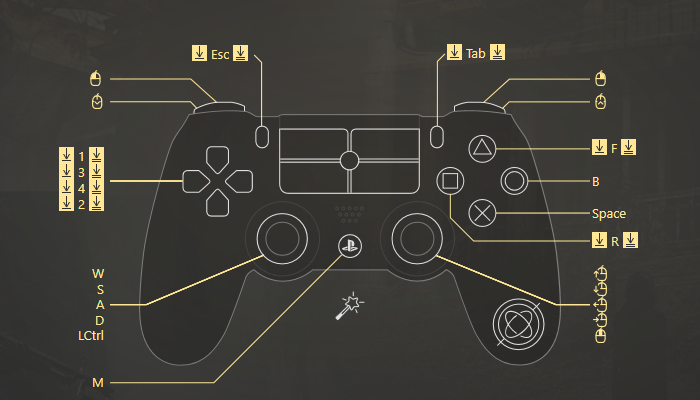 It allows you to remap paddles, adjust every single button, stick or trigger; create, save and share your personal configurations from easy-to-use and good-looking interface. There's another article about why reWASD is better than Xbox Elite app, and also it's way ahead than other similar tools. Let's learn and check it in action. How to use joystick mapper for Windows? Download and install it first. 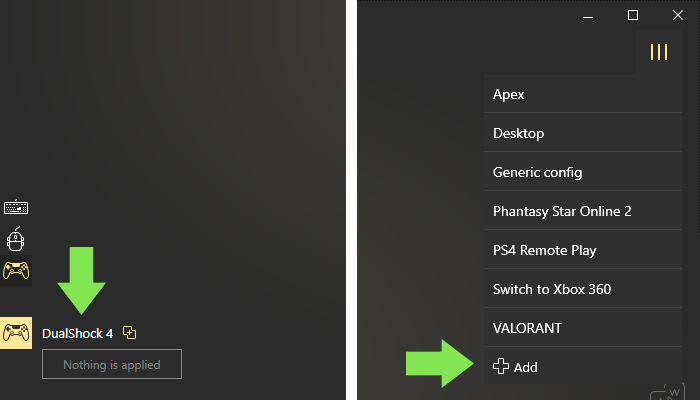 Connect your controller to PC. It will appear in reWASD, check the bottom of the window. Create a new profile, the config creates automatically. Start remapping! Once you’ve finished, press "Apply". You’ll see the indicator above — Remap is ON, that means your configuration is applied successfully. That was an easy start, but let’s go deeper. Strong reWASD features keep coming, and here is the one I love most. 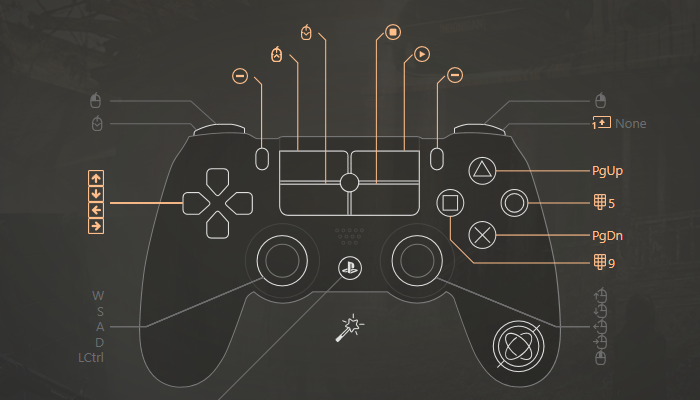 We all know that the number of controller buttons is often less than the number of in-game controls (especially those games that were initially developed for PC). What to do? Use Shift mode! Joystick mapper saves the day again! With this joystick mapper, PC games that have lots of actions can be played with controller. reWASD permits to add up to 4 Shifts that increase the number of possible bindings from 14 to 70 (on Xbox Elite controller) and from 10 to 50 (on Xbox 360, One, DS4 and DS3). Isn’t that great? How to use joystick mapper in Shift mode? Let me explain how Shifts work: you pick one button (shift modifier) and while you press it, your bindings change to another set. 4 different sets are available in reWASD. Once your config is created, press the shift icon to start managing the first one. Pick the button that will serve as Shift modifier — the button that will be pressed to activate the second set of bindings, and configure the mappings. You may assign all buttons to the new set of actions, or you may map only a few — then the ones that are free will inherit key bindings from the main configuration. Although, if you don't want the main bindings to reproduce while the Shift is activated — pick the "Do not inherit" option in reWASD mapping. Once it’s done, go Back, press Save and apply, and enjoy! There’s one more way to save buttons on your controller. You can adjust Stick zones with joystick mapper to make walking-running process unintentional. Each stick has three zones: low, medium and high. All you need to do is set WASD to Stick, and a button that you need to press along with direction buttons — to a certain zone. For example, you set Shift (running) to high zone. As a result, when you walk while playing and press stick to the high zone — your character runs because W + Shift reproduce. 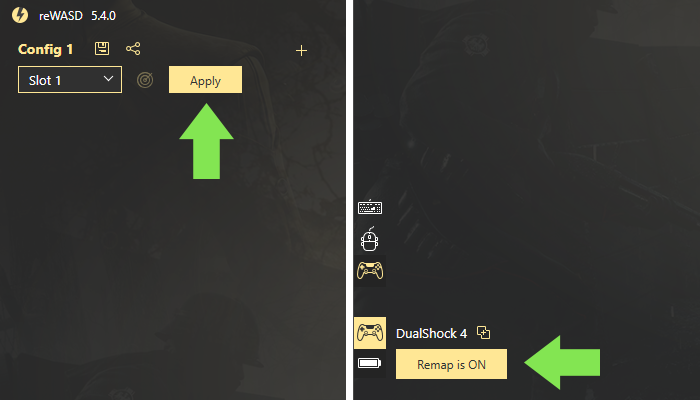 If you have questions about how to use reWASD joystick mapper — don’t hesitate to contact us in comments below or write us on Facebook. Any feedback, idea and suggestion are welcome.